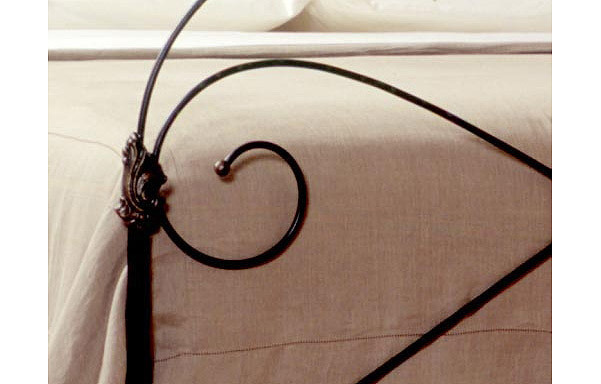 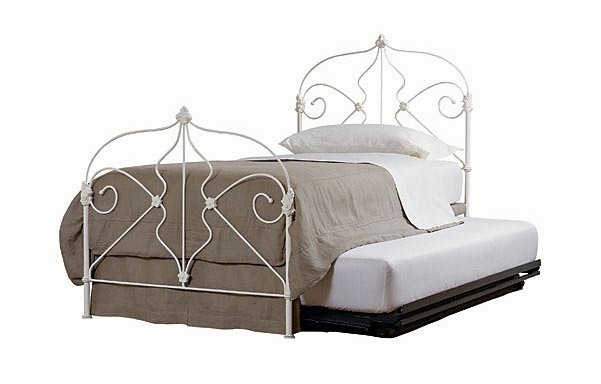 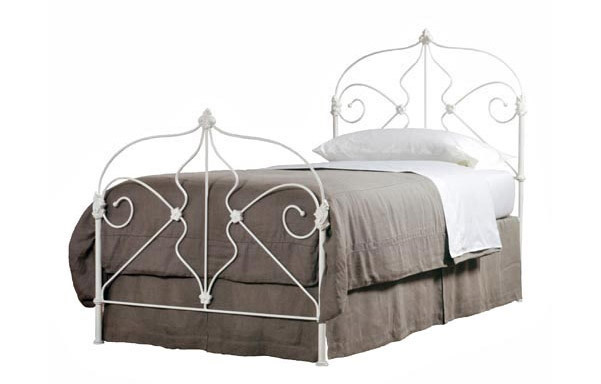 Rare 19th century French trundle bed features hand forged iron scroll work with decorative castings. 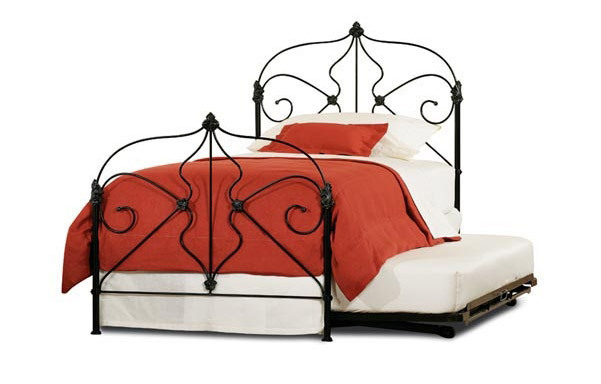 Uses standard twin mattresses. 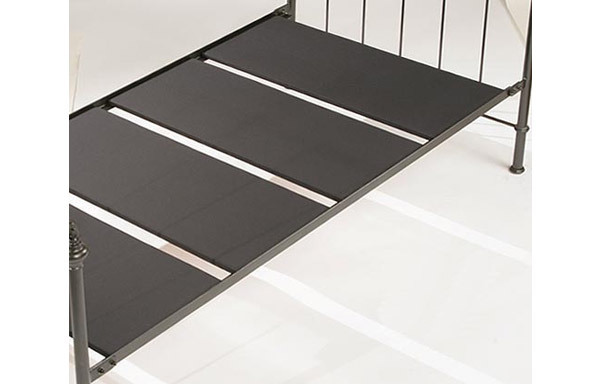 Second mattress can be stored under bed on optional trundle unit which pops up for use when needed.